4. 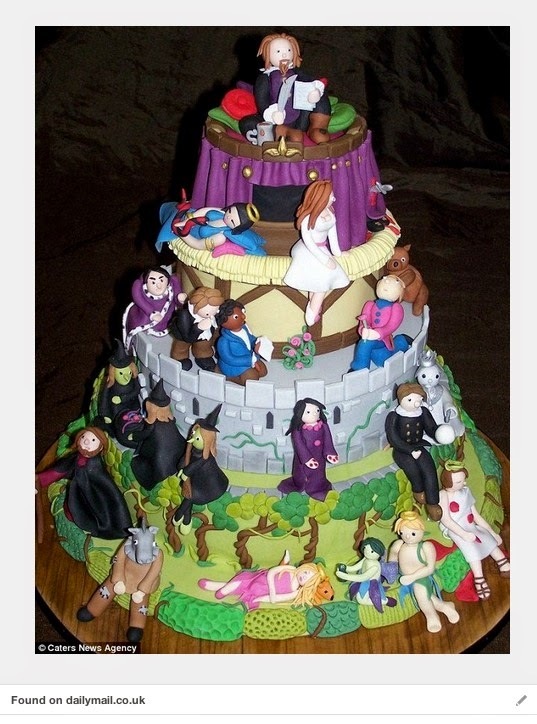 LET THEM EAT CAKE: Have a real birthday bash for Shakespeare, complete with cake! 5. 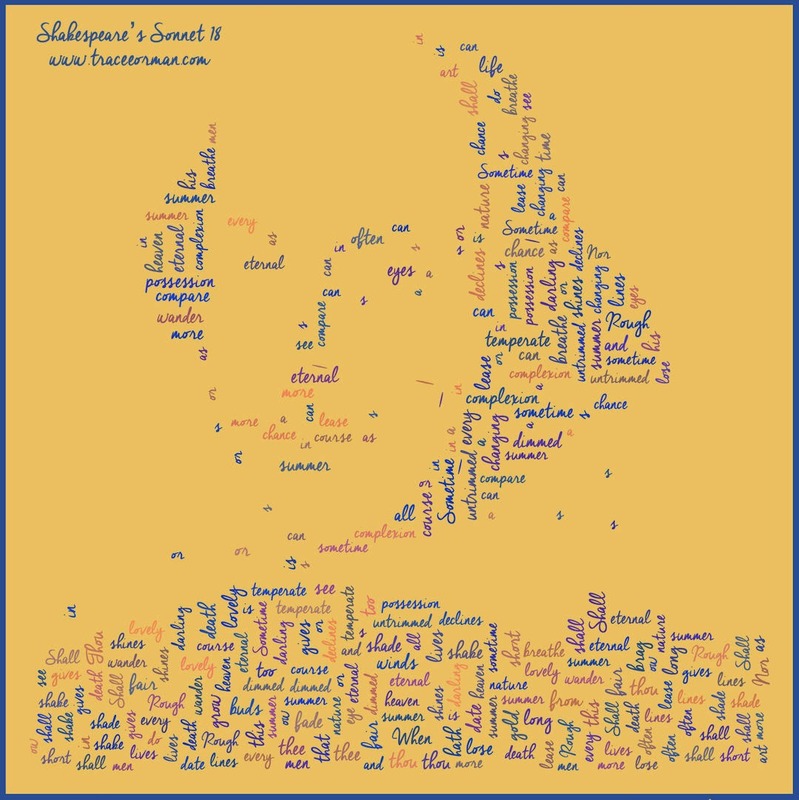 COMPETE TO FIND THE MOST FACTS ABOUT SHAKESPEARE: This activity can be done either with books (reference books such as encyclopedias or other nonfiction volumes found in your library) or done online (or use a combination of both). See which class can come up with the MOST facts about the Bard in a limited amount of time. Each class can designate several secretaries to write the information down and several "fact-finders." If computer or book access is limited, you can divide the class into small groups and have them work in shifts. After students have found facts, discuss their favorite ones (or ones they find the most unusual). 6. AMAZING RACE SHAKESPEARE: Along the same lines as the fact-finding competition in #5, but different because students will be looking for specific answers to questions, in the style of the popular TV reality show "The Amazing Race." 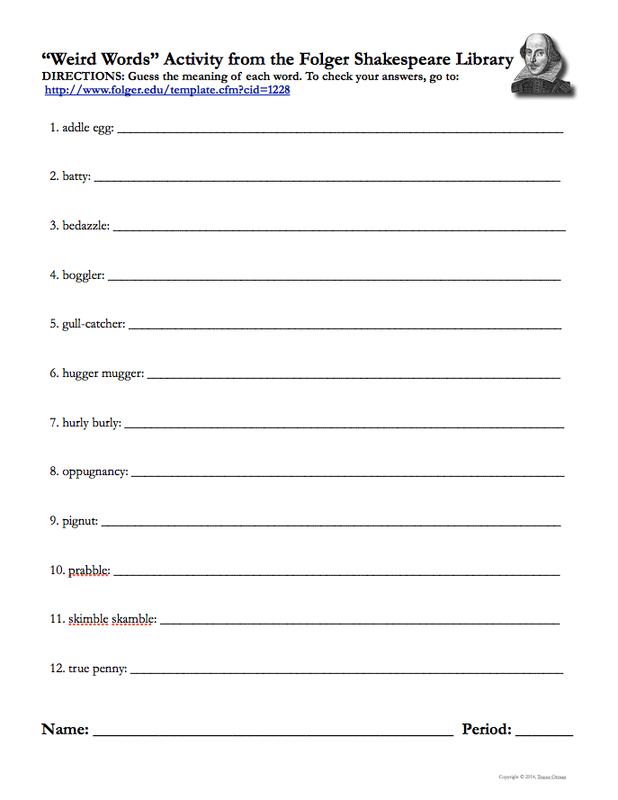 You can come up with the questions yourself, or use this pre-made activity already done for you (with answer key). 7. RECREATE THE GLOBE THEATRE: Using this free online printable, have your students recreate a three-dimensional miniature replica of The Globe theatre (from www.Paper-Toys.com). 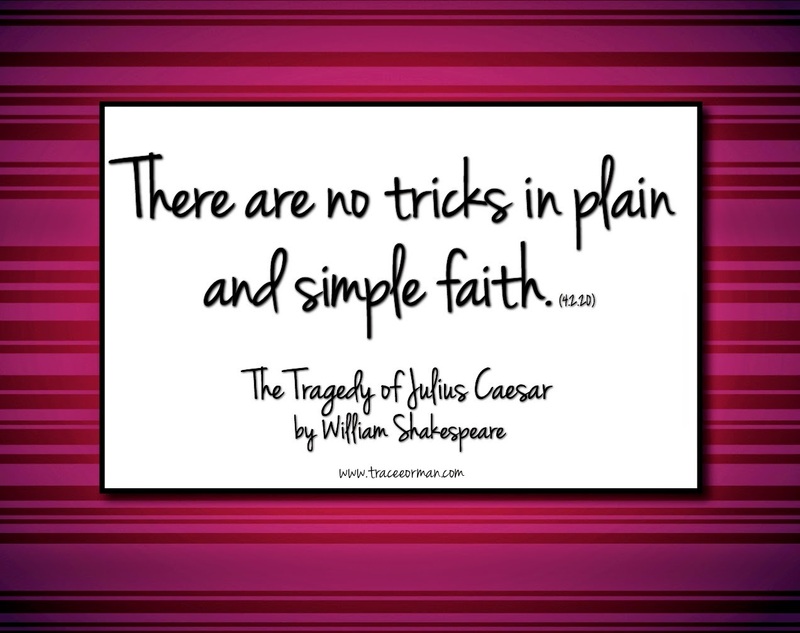 If this task is a little too difficult, have them create their own little mini-Shakespeare from www.Toy-a-Day.blogspot.com. 8. "WHO AM I?" 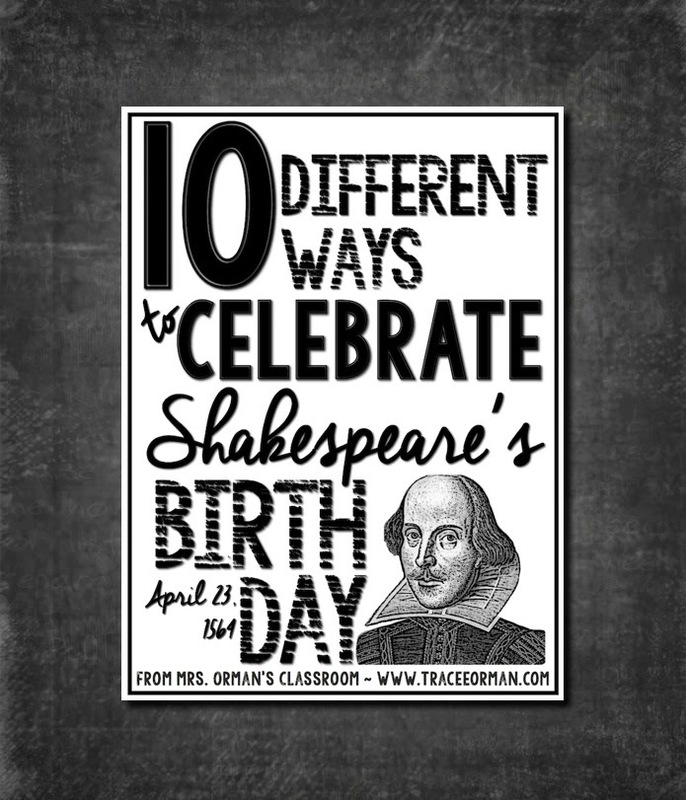 SHAKESPEARE CHARACTER QUIZ: Challenge your students with these "Who Am I?" clues on the Folger Shakespeare Library website. Then have your students create their own clues for a "Who Am I?" game. 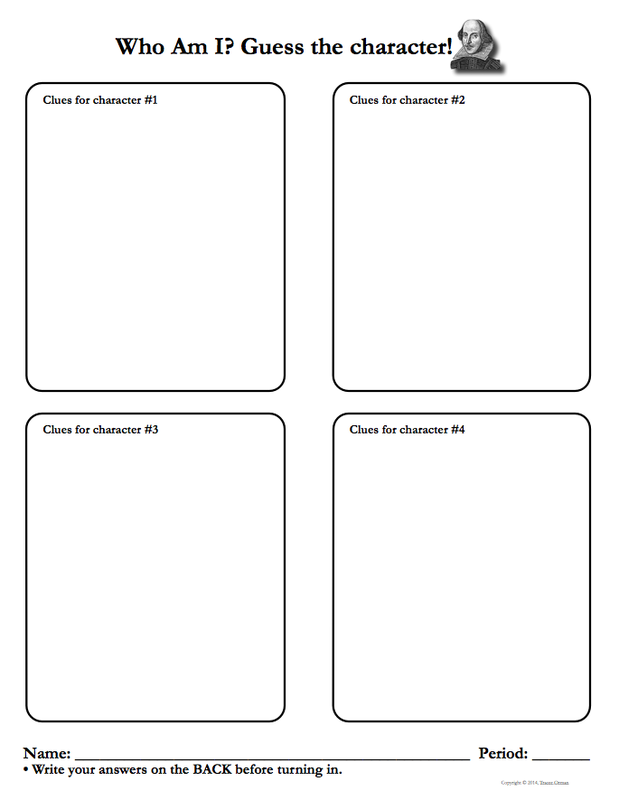 They can use characters from plays already studied, or mix in some characters from other works of literature from the entire year. It'll be a great review of all the books and stories your students have read this past school year. 9. PLAY AN ONLINE PUZZLE OR GAME: If you have access to the internet, play an online game (some can be printed if there is no access to the internet). 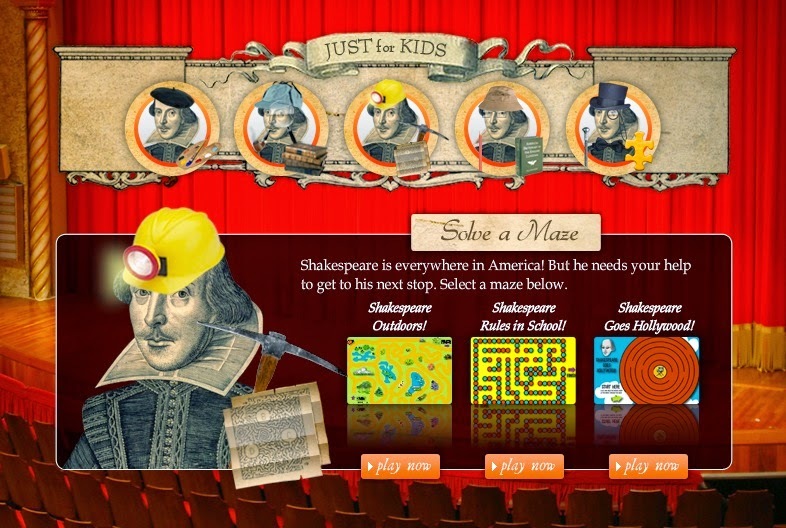 Using the www.shakespeareinamericanlife.org website, students can color pictures, solve jigsaw and crossword puzzles, word searches, and complete mazes. 10. 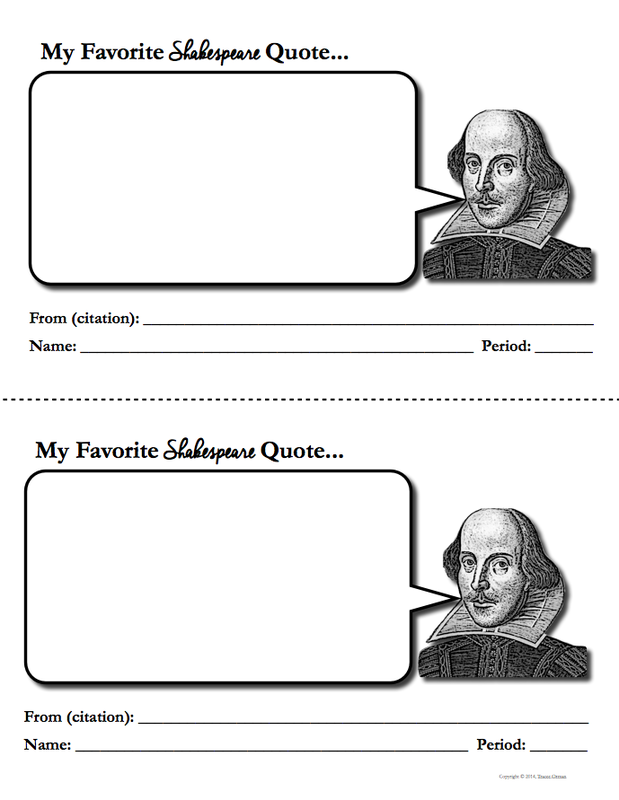 FAVORITE QUOTE PARTY: Have students select their favorite Shakespearean quotes (can be from the plays, his poems, or anything related to Shakespeare). Then have them create a mini-poster of the quote (being as decorative as they'd like). 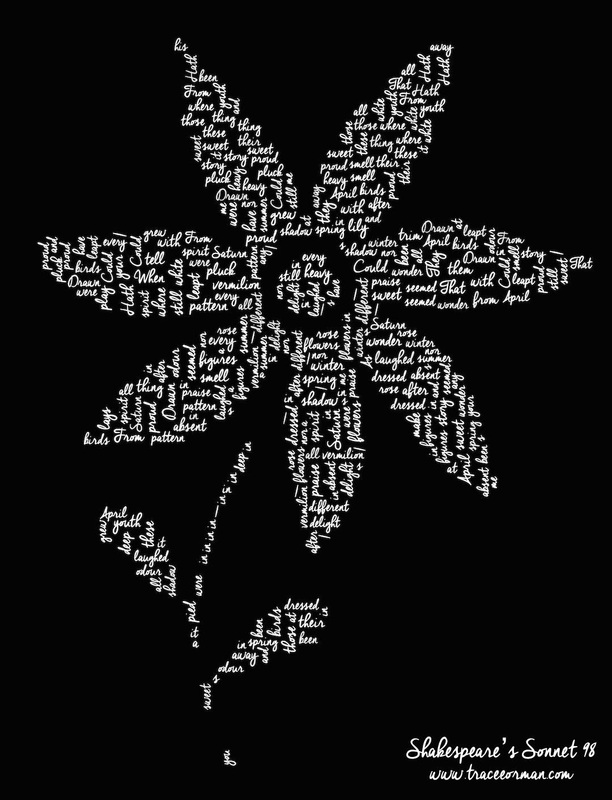 As a writing component, have students write a paragraph explaining why they chose that particular quote. They can attach the explanation on the back of their mini-quote poster. Hang the quotes around the room and have students roam from quote to quote, jotting down those that they may not have selected, but also like. 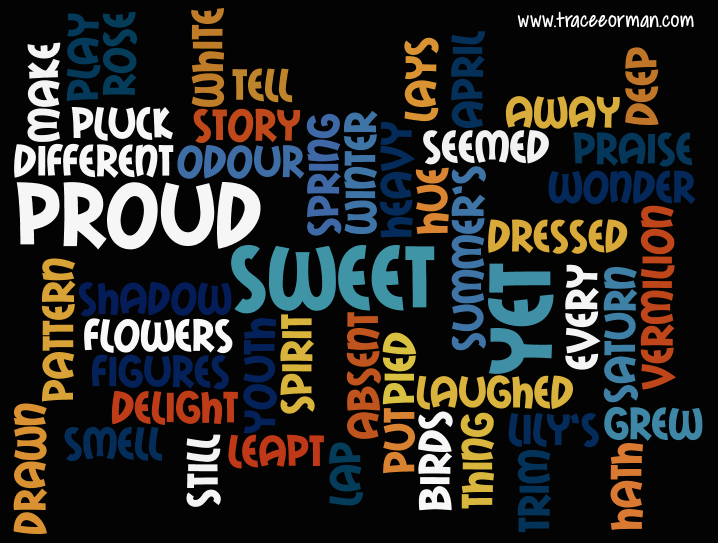 As a variation (or to add a speaking/listening activity), have students tell the class their favorite quote and why they like it or why it means something to them. 11. SHAKESPEARE'S LEGACY PROMPT: Would Shakespeare be surprised that—450 years later—his work is being studied, performed, and celebrated by people worldwide? Have students write a narrative piece about what their own legacy may be 450 years from now. They can tie in bits and pieces of Shakespeare for comparison's sake. They can speculate whether they think Shakespeare really wanted all his work published and read, or was some of it very private to him? Would students be surprised if some of their private work (journal/diary entries, poems) was studied by others? Students can also speculate whether they think documented words such as Twitter "tweets" or Facebook statuses will be considered narrative nonfiction in the future (or are they already?). Would they be horrified or pleased to know people hundreds of years in the future would be reading and studying them? Why? 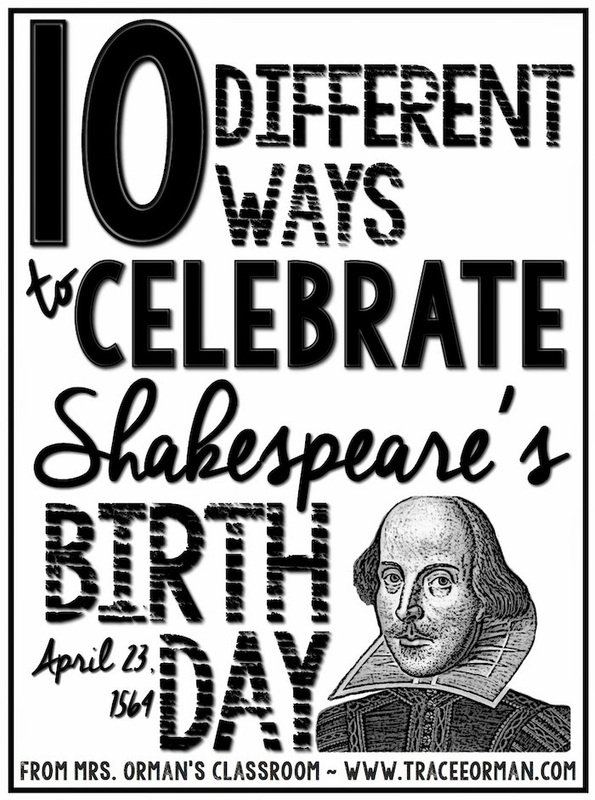 I hope you have a great Shakespeare Birthday celebration!